I just scored my first Facebook hate post. By commenting on a photographer’s post I seem to have provoked some ire (and some support). 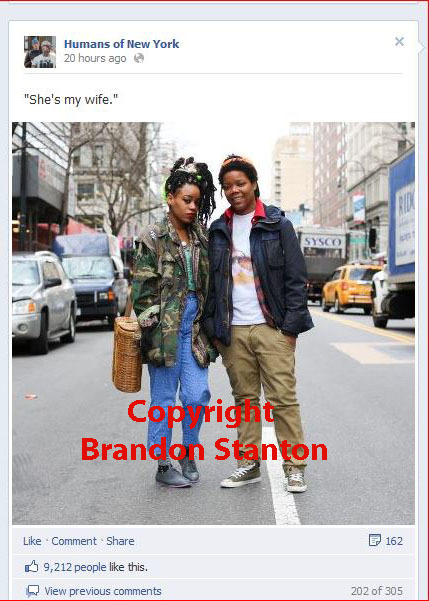 Brandon Stanton is a New York photographer who posts daily street portraits on his blog Humans of New York. They are reposted on his Facebook page, open for comments.